A litigator with experience of 24 years and with a specific knowledge in oil&gas industry, due to her former position as head of litigation practice of the most important oil&gas company in Romania, Peggy Suica-Neagu represents clients before the Romanian courts in a variety of disputes in areas such as ownership rights, commercial disputes, banking litigation, labor litigation and administrative litigation (competition, tax/fiscal, public procurement). She has also assisted and represented clients before domestic and international arbitration panels in disputes related to the performance of commercial contracts and in the enforcement of the arbitration awards, as well as before the European Court of Human Rights. Interviewees note Peggy Suica-Neagu as “a very experienced lawyer” who offers expertise in energy, pharmaceutical, finance, technology and construction disputes. 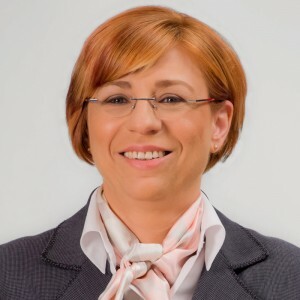 Peggy Suica-Neagu provides extensive experience of disputes in the oil and gas sector, as well as contentious pharmaceutical matters.